Vision loss and eye diseases can affect multiple generations of a family. 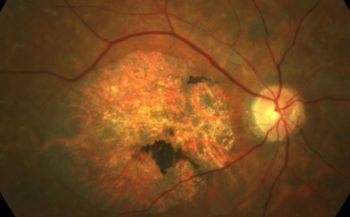 Researchers have identified certain genes as responsible for eye diseases, such as retinitis pigmentosa and x-linked retinoschisis. Vision loss due to inherited eye disease could start at any life stage, from infancy through adulthood. Can inherited eye diseases be corrected? Your ophthalmologist, pediatrician, or family doctor may refer you or your child to the Retina Foundation of the Southwest for specialized evaluation, genetic testing, and diagnosis if an inherited eye disease is suspected. The earlier an inherited eye disease is caught, the better. How is the Retina Foundation researching inherited eye diseases? The Retina Foundation of the Southwest is working with partners around the country and the globe to research causes, treatments, and cures for inherited eye diseases. 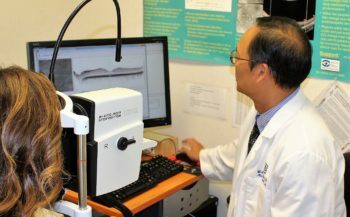 Our research is peer-reviewed and supported by prominent national agencies such as the National Eye Institute, the Food and Drug Administration, Fight for Sight, and the Foundation Fighting Blindness. Where can information on clinical trials be found? 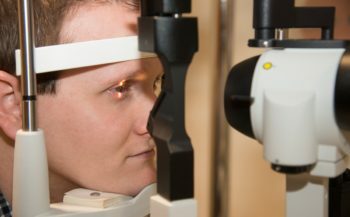 Read about how we are researching inherited eye diseases. 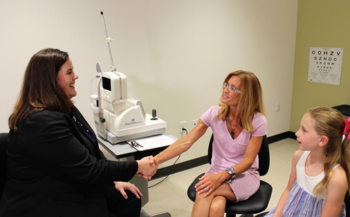 Read the stories about our advances in research and learn about the successes of the people who are impacted by the sight-saving research at the Retina Foundation of the Southwest.